We believe that eating a meal should be more intentional instead of just “refueling”. 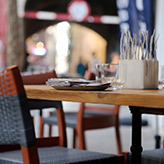 Meals should be shared with others around a table, allowing conversation to flow. We also believe that taking a few extra seconds to set a table will create an environment which invites and encourages conversation. Through something as simple as a napkin, SimuLinen helps people return to what meals used to be: the daily gathering of family and friends, to share in the blessings of nourishment and community and the sharing of their days. If you want to take your meal time back and make it a family tradition again, SimuLinen napkins can help. 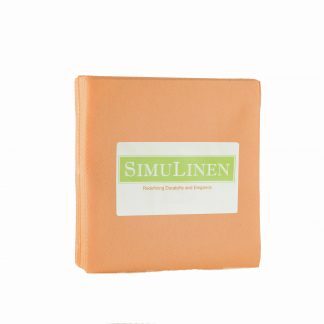 If you’re tired of the cloth napkins that have to be laundered after each meal and you don’t like the quality of dinner napkins available at the store, SimuLinen can help. Let SimuLinen help you make your meals the meaningful events they used to be. 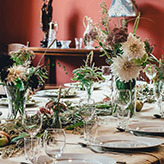 Our mission is to offer brides, caterers, party planners and regular families a better option than traditional cloth napkins and grocery store disposable napkins. SimuLinen products are always disposable. We are delighted to offer free samples as we know that napkins matter – the color, the texture and the quality all add up to the experience of the meal – and we want to make sure it’s perfect. Please reach out to Customer Support to request your samples. At SimuLinen, we pride ourselves not only on the quality of our products, but also on delivering excellent customer service. We are dedicated to your satisfaction.